Road to Carn an Tuirc, a shot from the path up to the monroe. 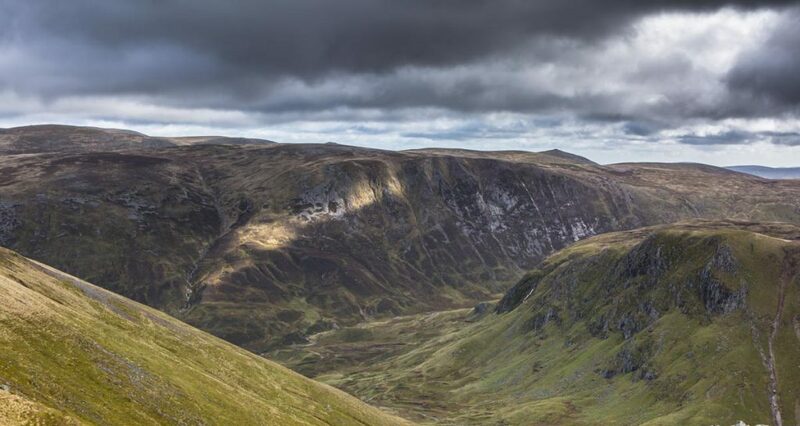 I feel that the Highlands of the Cairngorms is some of the wildest country in the British Isles possibly only beaten by Rannoch Moor further north. The rounded summits to to the hills give the area an ancient feeling that adds to the mystique.